Last month Prima Games announced it would be releasing The Legend of Zelda Box Set in November, which contains official guides for several titles in the popular series. 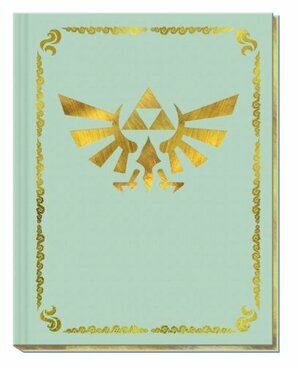 The books will naturally be enclosed in a treasure chest - though you'll need to perform the accompanying music yourself as you open it - and features a metallic bookmark and an individually numbered certificate of authenticity with a signature and message from Eiji Aonuma. It's set to cost $152.99 and it looks as though collectors will be having a costly few months as Prima is also releasing a special hardcover The Legend of Zelda: The Wind Waker Collector's Edition Official Game Guide. It's set to give detailed walkthroughs covering all dungeons and side quests and gives specific strategies for defeating each boss and solving all the taxing puzzles found along the way. Of course, all the secrets of the Great Sea will be revealed including the pieces of heart and sunken treasure. To make the edition extra special the pages are gold gilded and it even Includes a cloth map of the Great Sea. The aforementioned Box Set does indeed feature a book for The Wind Waker, but this one looks extra special. The other Zelda games covered in the box set are Ocarina of Time 3D, Spirit Tracks, Phantom Hourglass, Twilight Princess and Skyward Sword. Amazon has listed the book for pre-order at $35.99 but hasn't given a release date just yet. 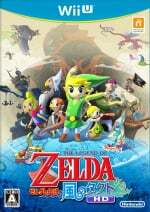 The Legend of Zelda: The Wind Waker HD will set sail on Wii U on 4th October, so the guide will most likely emerge around that date. What are your thoughts on this guide? Will you be tempted to grab it? Let us know in the comment section below. Well, sound nice, but shouldnt the guide be WInd Waker HD? "Amazon has listed the book for pre-order at £35.99"
I pre-ordered the chest on Amazon it was only $105 but I will for sure get this also. The book is only £18? Well kudos then for finally offering something like this for a 'normal' price. 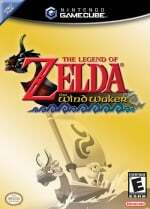 I know Wind Waker back to front, so wont be buying it myself; but it is fairly priced and does look pretty good. That's pretty expensive for a bunch of game guides. Am I missing something here? Do they include the actual games inside the bundle? If that's so, then six Zelda games for $153 isn't that bad. It's actually a deal, since they are worth $30 to $60 each. nope its the guides in special design with some litte extras, they would never put games in there. Just buy the chest and resell it for profit its not expensive you're just cheap. "gold gilded" is redundant. like saying "ATM machine". I've beaten Wind Waker a couple of times, but loving these Zelda hardback books. I preordered the collectors chest and will probably get this one as well! @Obito_Tennyson That's actually pretty freakin' cheap for six hard cover game guides that generally retail at $35 a pop. Hrm, I don't think the collector's edition being "extra special" really justifies the cost of buying it when there's already one included in the box set. Guess I'm not a rad enough collector. Amazon is selling the box set at a discounted price at the moment, by the way. I've seen it dip as low as the high-80s (Canadian store, dunno about other regions). hold on guys, this guide is included in the collector's edition box set as well. So don't order both otherwise you will end up with two copies. My only question is, does the box set have all the bonus items for each guide as well? It doesn't clarify if each guide has it's own special cloth map or bookmark included as well with the whole set. Why do people pay money for guides? Have they never heard of the internet? @Alshain01 Yeah that is true, there is the internet, but a lot of times people get the guide books because it can be a collectors item as well as the fact that most of the info is much easier, faster and more organized in a guide book than on the internet. I don't get guide books often, but this one has me interested. Hmm do i buy or not, never been a big fan of guides.